Tomorrow’s Houston tasting will be held at Camerata at 10:30 a.m. All are welcome and admission is free. Click here for details. 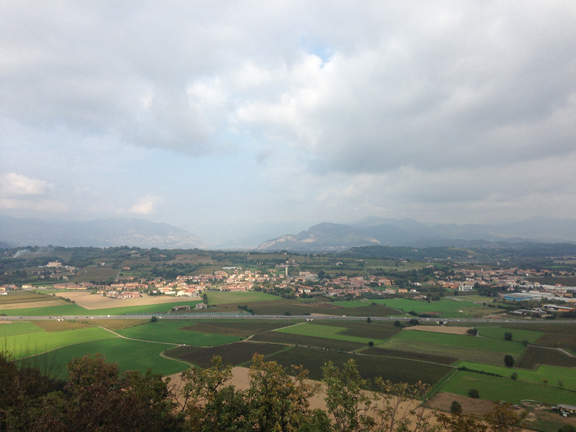 Above: A view of the village of Erbusco (the tower in the center) from Monte Orfano. You can see Lake Iseo in the distance. The day has finally arrived! Tomorrow we will launch the Franciacorta “Real Story” tasting series in Houston! Two wines from twelve different wineries will be presented and I’ll be giving an introductory talk on Franciacorta and answering participants’ questions. But most importantly, I’ll also be taking notes on the participants’ impressions of the wines. The idea behind the tasting is that it’s not a lecture or guided tasting but rather a “round table” where wine professionals can trade notes as they taste a number of Franciacorta wines side-by-side. Six of the seven Franciacorta wineries currently available in Texas will be presented, as will six wines not currently available in Texas (all of the wines were obtained legally as educational samples and were shipped through authorized channels; there is no fee for the tasting, nor am I being compensated for my time). Please click here for tomorrow’s tasting booklet (PDF). 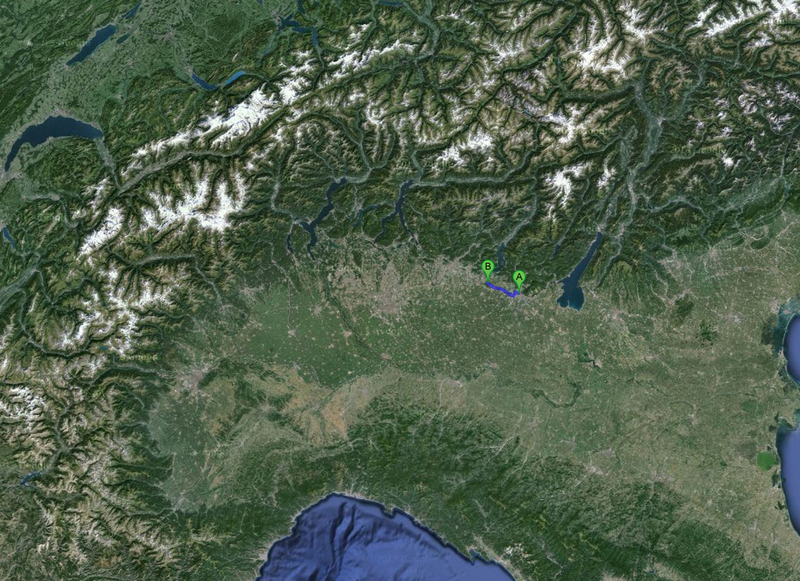 And click here for a high-resolution version of the Google map (below): the blue line indicates the distance between downtown Brescia and the village of Erbusco in the heart of the appellation (to the west of Brescia). That looks like an ifantastic tasting! You are doing so much to show Houston what an incredible wine region Franciacorta is. You are a true wine diplomat!